Liverpool is a popular city to relocate to thanks to its rich history, plentiful job opportunities & low cost of living. It’s the sixth largest city in United Kingdom. Located in North West England, it sits within metropolitan county of Merseyside. 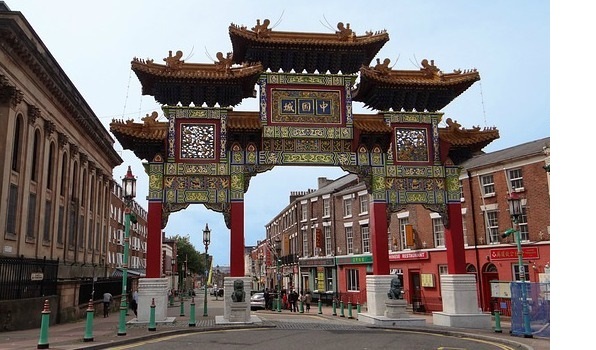 Liverpool's status as a port city has contributed to its diverse population. To avoid being stuck in the morning rush-hour it really is advisable to use public transport – its quicker, cheaper and probably stop a lot closer to your office than your car does. Liverpool has four main train stops that serve the four key areas of the city centre, Lime Street , James Street , Liverpool Central and Moorfields. Operated by Merseyrail, each of these stations links the city centre with all other areas in the Merseyside area, with services running every 15 minutes from all regional stations into the city. Alternatively, all local bus routes arrive at and depart from Queen Square and Paradise Street with Mersey Travel running a late night bus service every Friday and Saturday night. Liverpool’s dining scene is fantastically varied, from simple dishes to the finest foods from around the world. One of the best districts to eat is Hope Street or St George’s Quarter at the heart of the city. Check out the best restaurants here. The region also boasts fabulous food festivals such as Farm Feast in Wirral, Liverpool Food and Drink Festival and Southport Food and Drink Festival, and local farmers’ markets. Liverpool’s favourite local dish – scouse! A tasty stew of meat and vegetables, served with crusty bread and beetroot or red cabbage (depending on personal preference and opinion). It’s how the people of Liverpool got their nickname ‘Scousers’, and is on the menu at many cafes and restaurants. Much of Liverpool's nightlife drinking culture is based around the Ropewalks area, Wood Street , Bold Street and Fleet Street, with the action focused on Concert Square . There are also a number of chic designer bars at the Albert Dock including Baby Cream, an offshoot of the legendary nightclub, and the PanAm. And Victoria Street , in the business district, is another fast-developing area for bars and nightlife. The best public schools are St Edward's College, King David High School and St Hilda's Church of England High School. In terms of primary schools there are vast numbers in every area so you will be spoilt for choice. Find schools near you on Liverpool Council website. There are four universities with exceptional track records across a broad spectrum of disciplines: Liverpool University, Hope University, Edge Hill University, and John Moores University – all of which contribute to the cities incredible atmosphere and energetic nightlife as well as its academic excellence. In contrast to much of the rest of the country, striking up a conversation with a stranger is fine pretty much anywhere in Liverpool. On the train, on the bus, on the bog - all great opportunities to chat. Local amenities such as Hospitals, Doctors, Chemists, Schools, etc. can be viewed for each property on our website. Search for social housing properties available immediately via Homefinder UK in Liverpool here.